We are a proud member of the Hendrick Automotive Group. Fresh new looking showroom with plenty of client amenities. Committed and Hardworking team of Sales, Service, Parts and Wholesale Parts Managers available to serve you and answer any questions or concerns you may have. No Dealer Mark Up – Ever. Loaner vehicle fleet for clients who have vehicles in service. (Some restrictions apply – see a MINI Service Advisor for complete details). Complimentary shuttle and Uber services for those that do not qualify for a loaner vehicle. Complimentary vehicle wash with service. Comfortable and spacious update client lounge with complimentary gourmet coffee, teas, beverages and snacks. (we are upgrading our lounge in March/April 2019). Drop in fluid top off and air services. Coming soon – Kid’s Lounge with books and games. We do provide complimentary coloring books and crayons for our younger clients! Pet Friendly – we have treats for your fur babies at our front desk! Dedicated staff for vehicle trade or purchase through our Vehicle Buying program. We will buy your car with no obligation to you! Access to thousands of vehicles nationwide within the Hendrick Automotive Group. 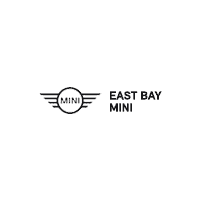 MINI Certified and Trained Technicians with over 50 years of experience combined. Complimentary events throughout the year including Client Appreciation. We do more than just sell and service vehicles. We love to give back to the community by participating in the Hendrick Cares Programs. (include the Hendrick cares url here). We take all your feedback seriously and are committed to resolving any concerns you may have. You may always CONTACT US HERE for anything! You can read more about what our clients are saying HERE. Thank you!